Directions: 16N turn R onto Mt. Holly-Huntersville Road, R onto Chastain Parc, L onto Chastain Walk, L onto Treebranch. 77S exit 18 (R) onto W.T. Harris (L) onto Mt. Holly-Huntersville Road (L) on Chastain Walk (R) on Treebranch. Feel free to subscribe to this Lake Norman real estate information site for future information about Lake Norman Real Estate and area land development. Subscribe above……. The Advanced Home Search is for individuals looking to purchase a home in the Charlotte or Lake Norman areas within the next months. Up to date listings with your chosen criteria will be emailed to you as they become available. The average sale price of a home in the Davidson area is $223,743. Homes are selling for 96.45% of the list price and are on the market for an average of 98 days. Davidson is just 20 minutes north of the city of Charlotte and is home to Davidson Collage. Part of one of the hottest Real Estate markets it really has is all! You are 5 minutes from beautiful Lake Norman, just 1 hour from the mountains, just 3 hours from the ocean and best of all there is great weather. Davidson is a bit different from its neighboring towns of Mooresville and Cornelius. It has that historic small town, main street look to it. If you are looking for that small town appearance wear everyone knows each other, Davidson is what you are looking for. Other Charlotte Area Standouts: The Home of most of the top NASCAR Teams, Charlotte Bobcats (NBA Basketball), Carolina Panthers (NFL Team), University of North Carolina/Charlotte, Lowes Motor Speedway and the North Lake Mall 10 minutes away. PROVIDING SERVICE THAT EXCEEDS EXPECTATIONS!…………………………….. Location Characteristics: Davidson is a smaller historic town that is about 20 minutes north of Charlotte NC. Davidson is great for people who like the small town lifestyle but are close to the city. It is convenient to the recreation of Lake Davidson and Lake Norman. Whether you are looking to buy a home or sell your current home, Craig LePage will provide you with professional representation, superior service and a commitment to building relationships by exceeding expectations! I service all of the Lake Norman area. I specialize in working with relocation to the Lake Norman area, Listing (resale) as well as the NASCAR community. Give me a call today for Area information, Mortgage information or listings to fit your criteria. Lake Norman Home Specialist: Craig LePage, Broker / Realtor of Keller Williams Realty, Cornelius N.C. 704-618-2412Feel free to subscribe to this Lake Norman real estate information site for future information about Lake Norman Real Estate and area land development. Subscribe above……. Denver is just 25 minutes northwest of the city of Charlotte and is part of the Lake Norman southern shoreline. Part of one of the hottest Real Estate markets it really has is all! You can live on beautiful Lake Norman; you’re just 45 minutes from the mountains, just 3 hours from the ocean and best of all great weather. With the opening of the new highway 16 Denver is the new hot spot for development on Lake Norman. Denver is a great place to buy at a lower cost because it is still in the early stages of development compared to many of the other areas around lake. It will not be this way for very much longer. Denver has lake front property, golf courses, shopping and restaurants and is growing in popularity at a rapid pace. Other Charlotte Area Standouts: (approx. 30 min. from Charlotte) The Home of most of the top NASCAR Teams, Charlotte Bobcats (NBA Basketball), Carolina Panthers (NFL Team), University of North Carolina/Charlotte, Lowes Motor Speedway. Huntersville is just 20 minutes north of the city of Charlotte and is part of the Lake Norman shoreline. Part of one of the hottest Real Estate markets it really has is all! You can live on beautiful Lake Norman, hang out at Birkdale Village (most popular shopping and night time entertainment in the area), you are just 1 hour from the mountains, just 3 hours from the ocean and best of all great weather. If you like new development, nice people and plenty to do, this is the place for you. Other Charlotte Area Standouts: The Home of most of the top NASCAR Teams, Charlotte Bobcats (NBA Basketball), Carolina Panthers (NFL Team), University of North Carolina/Charlotte, Lowes Motor Speedway. Charlotte is one of the hottest real estate markets in the country. It really has is all! You are 3 hours from the ocean, 1 hour from the mountains and you have 3 local area lakes (Lake Norman, Lake Wylie and Mt. Island Lake) all coupled together by the Catawba River. All of this makes it a very appealing place to relocate. If you like new development, nice people and plenty to do, this is the place for you. If you would like any additional information about the Charlotte or any other Lake Norman area homes, contact Lake Norman Home Specialist: Craig LePage, Broker / Realtor of Keller Williams Realty, Cornelius N.C. 704-618-2412Feel free to subscribe to this Lake Norman real estate information site for future information about Lake Norman Real Estate and area land development. Subscribe above……. When moving to the Charlotte / Lake Norman, NC area you will have an endless number of choices when it comes to find a new home. As one of the areas leading Realtors I find that many of my buying clients that move here from out of state are quite shocked when they find out they have the option of purchasing a brand new home. I to was once one of those people. Many people that come from high population area such as the northeast have lived in houses that are generation’s old. With very little land left to build on in these areas, it is rare that new communities are built. When they are built they are priced very high or far away from peoples places of employment. Some people drive as far as 2 hours in order to commute to work in these areas. The Charlotte / Lake Norman area is very new in terms of development. New homes and commercial spaces are popping up all over the place. All of the national production builders have set up shop in the area with multiple communities for people to settle in. Prices range from the $100k’s to the $500k’s for production builders and continue all the way up into the millions for many of the custom luxury builders. People are moving here from all over the country for a number of reasons. For starters the whether is fantastic, the economy is very strong and the development is new. When searching for your newly built home there are a number of things one should keep in mind. 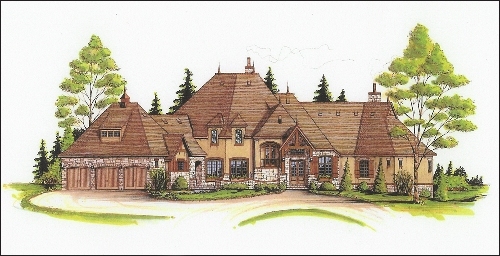 Many builders in the area build Speculative Homes which are often referred to as “Spec Homes”. These homes are also called inventory homes. Inventory homes are new homes that are ready for purchase. If an inventory home is not sold by the time it is completed the builder has to carry the cost of the home until it is sold. Of course the builders do not like to do that so they will often discount the home or add some benefits such as paying some closing costs in order to sell it as quickly as possible. I just had a customer purchase an inventory home in Concord, NC that was marked down $50,000 and $2,500 in closing costs. They walked into $50k in equity from day one of purchasing their home. Another way to get great deals on new construction homes is to purchase during what is called, “Pre-Sale”. Pre-sale is the time before any homes have been built in the community. When a builder starts a new community it is more difficult sell to customers because the customer can not see what the community will look like. They can only go by drawings and descriptive literature. This causes the builder to price the homes to sell in order to get the community off the ground. As the homes are sold prices will rise sometimes as much as $1,000’s per month depending how well the community is selling. The earlier you purchase the more equity you will gain. For example: If you purchase a new home during pre-sale it is not unusual to gain as much as 25% equity or more by the time the community is completed in just a few years. In order to find these communities in the early stages you must use a Realtor such as myself that is well connected with inside information on what is new in the area. As a new home specialist I am well versed in negotiating with builders to get the most for your money. I know where all of the latest communities are being built and what communities have best inventory home deals. If you have an interest in purchasing a new home or building one from the ground up I would be happy to assist you in your search. Many people often think that it will cost more money to use a Realtor when purchasing a home. This is not true at all. All homes that are listed by a Real Estate agent or by a builders have a commission worked into the marketing budget of the house. In a nut shell, the seller side pays the buyer agent a commission so that the buyer agent will bring them customers. If you do not use a Realtor to buy a home you will probably pay more for your home than you should. A Realtor will act in your best interest and make sure that everything goes smoothly including price negotiation, your offer to purchase, inspections and your closing. If you would like additional information about the Lake Norman or Charlotte area please contact: Craig LePage, Realtor, Broker and Lake Norman Home Specialist or email me at EMAIL ADDRESS .